The foundation receives official charity status. 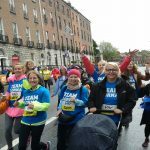 Lorna and Cathy were also joined by team members from as far afield as USA, Denmark, Germany, the UK and from all across Ireland who came together to walk the 10k through the streets of Dublin with 40,000 other women. 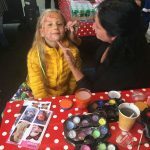 The event which was organised in conjunction with one of the foundation's chosen charities APA - A Partnership with Africa's local Derry committee saw Lorna being interviewed by well known broadcaster Frances Campbell. 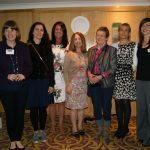 Lorna Byrne Children's Foundation confirms chosen charities. 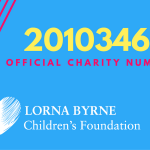 The Lorna Byrne Children's Foundation today confirmed it's chosen charities for 2015/2016. Supports initiatives that are changing the lives of vulnerable children around the world for the better. Children who right now are suffering due to war, devastation, poverty or illness. © Copyright 2019, All Rights Reserved by Lorna Byrne Children Foundation.